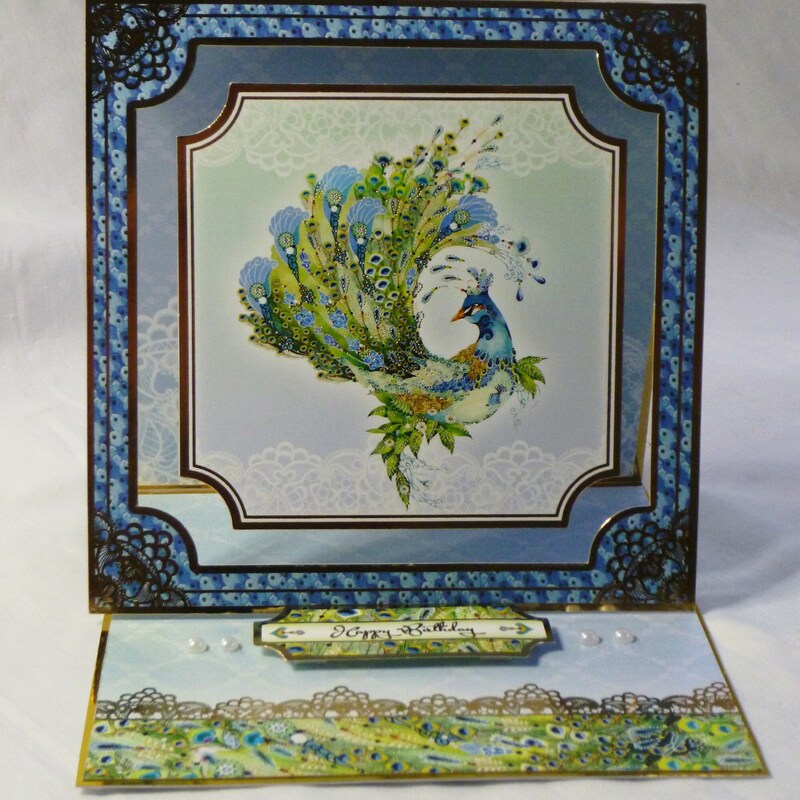 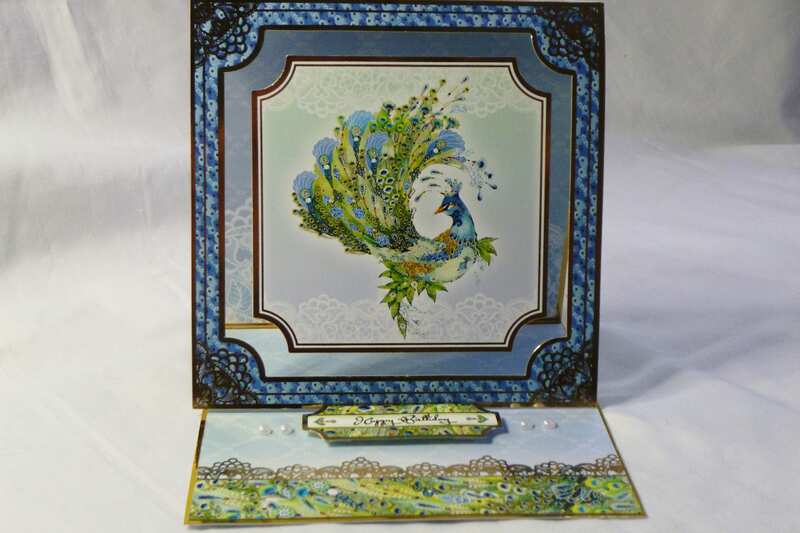 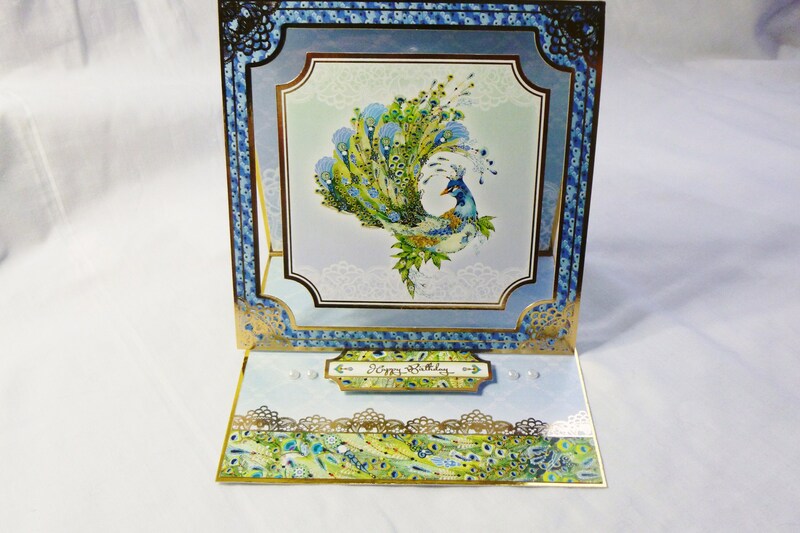 A gorgeous card stunning, birthday card, easel card, made white card, layered with gold card and patterned card, the front of the card, has piece of acetate for the front with a large gold and blue frame, in the centre of the card is a large topper with a flamboyant peacock. 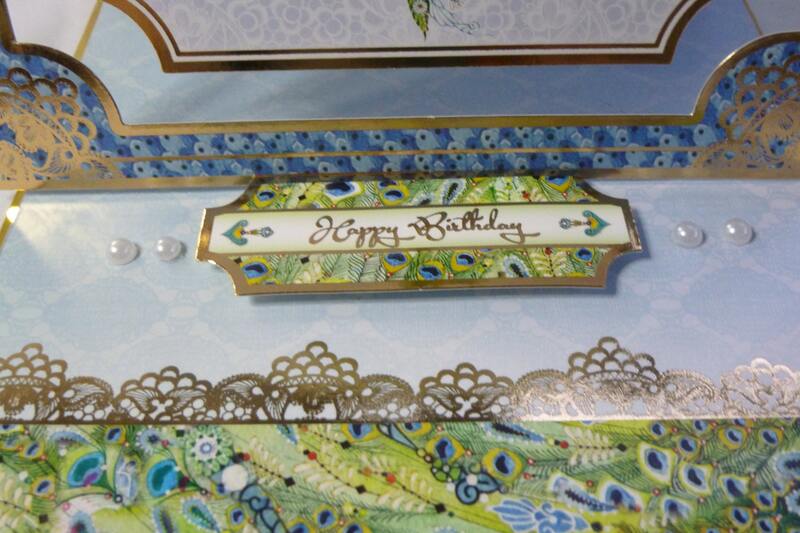 There is a small tab attached to the edge of the card so it slots underneath the sentiment /stopper. 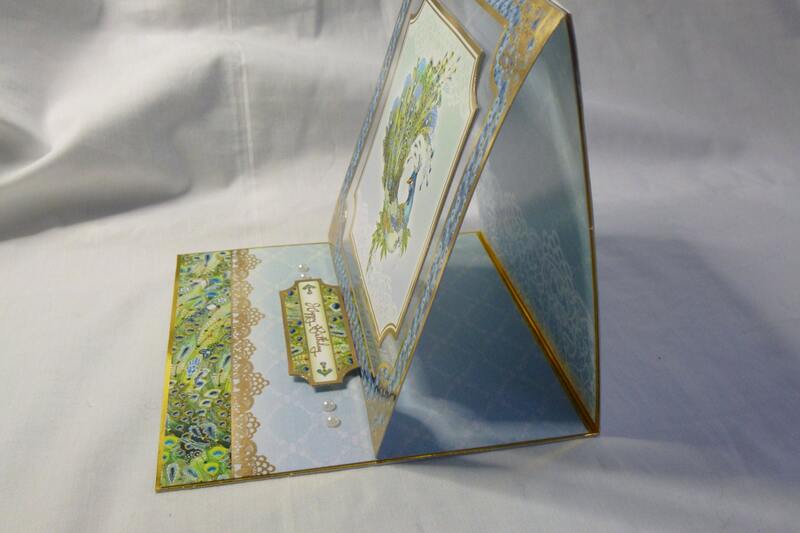 The sentiment is attached to the base of the card which says, 'Happy Birthday'. 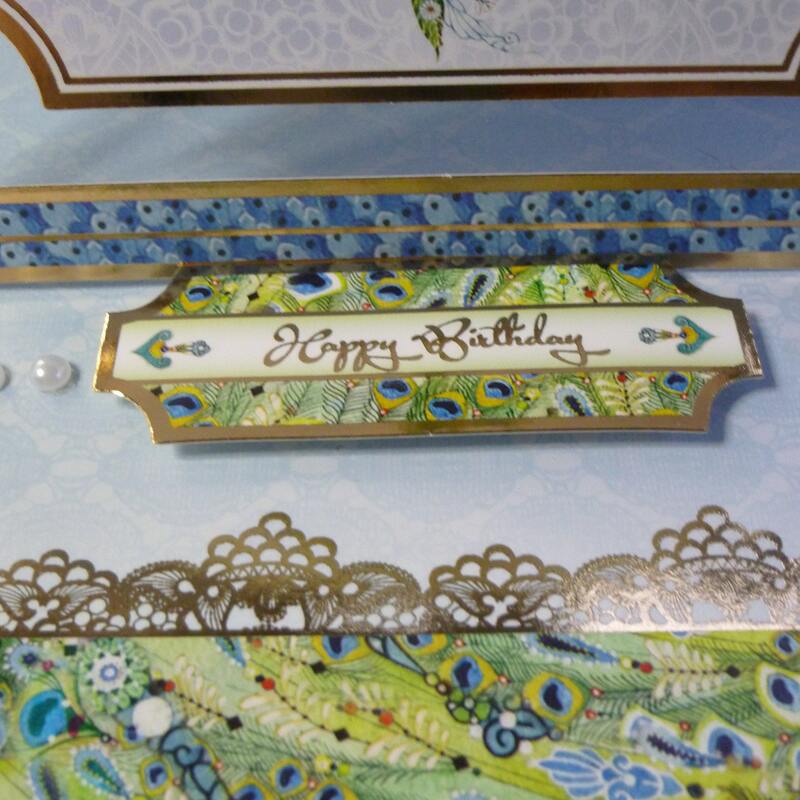 Each side of the sentiment are two pearl embellishments. 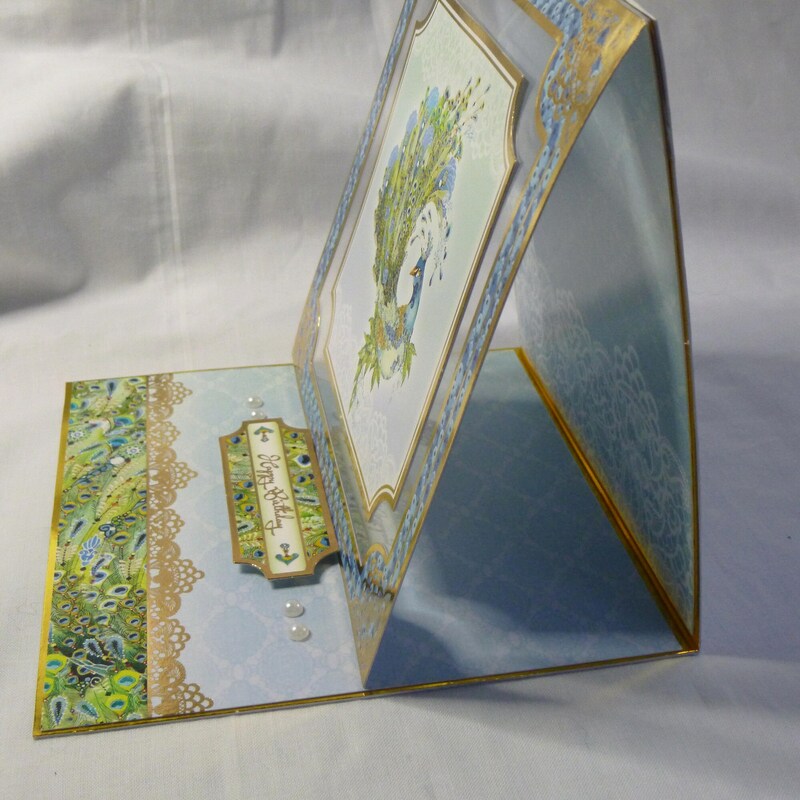 The card measures 6 inch x 6 inch, 15 cm x 15 cm, include a white envelope.